Lutsenko will defend Ukraine "even if it is about Saakashvili." 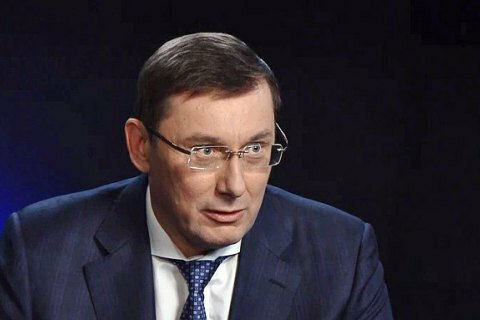 Prosecutor-General Yuriy Lutsenko says that he is under pressure to "close his eyes" to the actions of the leader of the Movement of the New Forces, former Georgian President Mikheil Saakashvili. "I think this case is being ruined by politicization. Over the past week I am under a lot pressure to close my eyes at what this stateless person Saakashvili is doing," Lutsenko said on TV channel 112-Ukraine on Tuesday, 12 December. The prosecutor-general says that Saakashvili, with whom he had been on friendly terms before, "crossed the red line". Lutsenko said he will defend the state "even if it is about Saakashvili." "I'm sure that we have convincing evidence [incriminating Saakashvili], otherwise why Saakashvili would avoid questioning so panick," added Lutsenko. Earlier, Lutsenko stated that the investigation obtained evidence indicating the transfer of 500 thousand dollars from fugitive Ukrainian tycoon Serhiy Kurchenko to Saakashvili's people. Kurchenko allegedly agreed to sponsor the leader of the Movement of the New Forces in exchange for the return of his assets that he lost after fleeing to Moscow. Governor: what prevents Ukraine from taking care of its compatriots abroad like Hungary does? Poland's president to visit Ukraine "despite recent incident"